Published 3:25 p.m. ET -- What do rocker Ted Nugent, Apple CEO Tim Cook, singer Tony Bennett, Mohawk-coiffed NASA staffer Bobak Ferdowski, and a 103-year old Florida woman have in common? They’re all going to be among the members of Congress and other Washington dignitaries for tonight’s State of the Union address. They, and many other related guests, may seem like an eclectic bunch but they’re all invited for a purpose. Together, those guests form a diverse group of Americans who together paint a portrait of a nation in flux: victims of gun violence, undocumented immigrants, veterans of the war in Afghanistan, and the corporate executives and small-business owners who represent the strong economic future the president must outline in his speech. 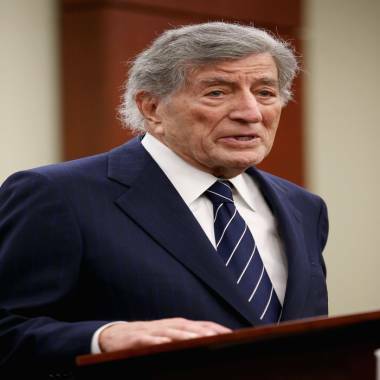 Singer Tony Bennett will attend the State of the Union as a guest of House Minority Leader Nancy Pelosi. Twenty members of Congress have organized an effort to include almost two dozen victims of gun violence and their families at the Capitol for President Obama’s annual address. Former Rep. Gabrielle Giffords of Arizona, who was shot in January 2011 during a constituent meeting in her district, and her husband, Mark Kelly, also will attend the speech as guests of Rep. Ron Barber, D-Ariz., and Sen. John McCain, R-Ariz. The parents of slain Chicago teen Hadiya Pendleton will attend the State of Union as guests of first lady Michelle Obama. Curbing gun violence sprang to the top of the administration’s agenda following a string of mass shootings. There was the tragedy at Sandy Hook Elementary in Newtown, Conn., the movie theater shooting in Aurora, Colo., and the attack on a Sikh temple in Oak Creek, Wisc., among others. The president has pushed for new gun control measures, including universal background checks and an assault weapons ban. The latter faces a particularly steep uphill fight in Congress, though Obama has maintained his resolve. Such a ban "deserves a vote in Congress because weapons of war have no place on our streets or in our schools or threatening our law enforcement officers,” he told an audience in Minneapolis earlier this month. 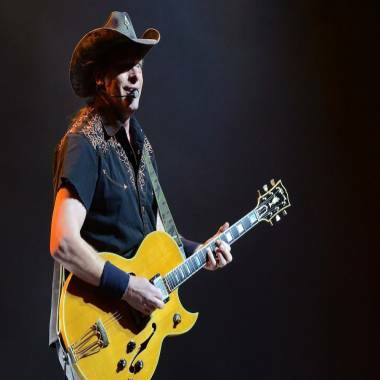 Ted Nugent performs at Ruth Eckerd Hall on August 6, 2012 in Tampa, Florida. Sweeping immigration reform, a promise of Obama’s in his 2008 campaign, eluded the president in his first term, culminating in the Senate’s late 2010 failure to pass the DREAM Act. A year and a half later, the Obama administration made waves in announcing an executive order to halt the deportation of illegal immigrants who were brought to the United States as children. The president renewed his focus on reform earlier this year following the Senate’s construction of new legislative framework for an immigration policy overhaul. Sitting in the audience tonight will be 20-year-old Alan Aleman, a DREAM Act activist and student at the College of Southern Nevada who was one of his state’s first undocumented immigrants to receive a work permit under deferred action. Several congressional leaders including Sen. Mark Warner, D-Va., Rep. Marc Veasey, D-Texas and Rep. Luis Gutierrez, D-Ill., have also extended invitations to those who have been touched by the immigration issue. But one of Obama’s top priorities is economic growth. More than seven in 10 Americans remain dissatisfied with the current state of the economy, according to a recent NBC News/WSJ poll. But in attendance tonight will be examples of prosperity from across the socio-economic spectrum: small-business owners like brewery owner Deb Carey of Wisconsin, and corporate executives like Apple’s Cook and ECCO Select CEO Jeanette Hernandez-Prenger, an invitee of House Speaker John Boehner. Also in attendance tonight will be those who have argued for increased civil rights and protections. Guests include Amanda McMillan, who won a gender discrimination case she filed against her former employer; Desiline Victor, the 103-year old Florida woman who waited in line for hours to vote; and Tracy Hepner, the co-founder of a group that supports LGBT military partners and their families. Bobak Ferdowsi, a flight director for the Mars rover Curiosity, works at his computer at the Surface Mission Support Area, at NASA's JPL in Pasadena, Calif. Known to the Twitterverse and the president of the United States as "Mohawk Guy," Bobak Ferdowski could be the changing face of NASA and all of geekdom. Also to be seated in the first lady’s section are Sgt. Carlos Evans, a combat veteran who sustained injuries in Afghanistan, and Sgt. Sheena Adams, a recipient of the Combat Action Ribbon for her completion of leadership and deployment last year. The president is expected to announce during his address tonight that 34,000 of the 66,000 U.S. troops currently in Afghanistan will return home within the year, according to a senior administration official. And last but not least, there’s NASA’s “Mohawk Guy.” Ferdowsi, also a guest of the first lady, will serve to draw attention to the president’s calls for visas for technology-trained immigrants. Ferdowsi is the Iranian-American who helped guide the Curiosity rover on Mars.